I am a Christian. I always will be. I am a songwriter. Yep, you guessed it-I always will be. Recently, I have answered a clear call to pursue the full time study of God's word. Before putting my art on the back-burner for Biblical studies, I was convinced that I would not be a Christian artist. I wanted to be a Christian who is also an artist. By this, I meant that my records would be hip for the mainstream secular scene and not relegated to the back section of FYEs or, worse yet, the super-narrow niche market of Christian bookstores. I had my reasons, and yes, some of them were selfish. How do you feel about Christian artists working to make it in the secular world? Is it an effective way to witness or does it inevitably lead to compromise? 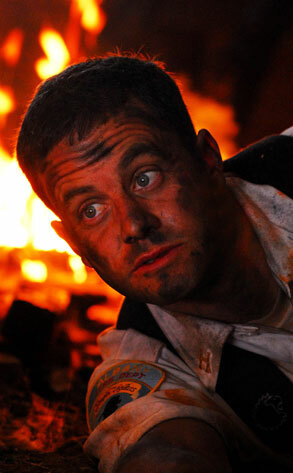 A good example to begin with… childhood star turned Christian actor, Kirk Cameron, is not subtle about his faith in the least. While most 80s-born girls remember "Mike" from Growing Pains making them go weak at the knees, Cameron is now behind a rewrite of Darwin's Origin of Species, gives instructional videos on street evangelism, and refuses to act in non-Christian films. 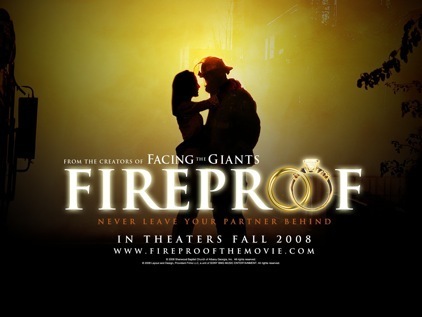 In his latest film project Fireproof, produced by the Georgia-based Sherwood Baptist Church, he even refused to kiss his co-star because she wasn't his wife. The producers found their way around the problem by dressing Kirk's wife in similar clothing as the lead actress and shooting the film's climactic kiss in silhouette. "I have a commitment not to kiss any other woman," said Cameron. As critical as I and many of my actor friends are of Fireproof's screenplay, cinematography and acting, there is no doubt that its power rests in Christ. The film is about a marriage on the brink of divorce and how a commitment to the humility modeled by Christ, and the power of the Holy Spirit bring real and lasting reconciliation. With divorce rates skyrocketing in America, the film is undoubtedly important. I must admit, as I watched the film, I found my initially mocking jests morph into silent and reflective worship. While Cameron's ministry manages to impress me (despite the cheesy production value of his films), I fear that the scope of his reach may be limited by his zeal, aggression and sectarian selectivity in film projects. I am afraid that many non-Christians simply won't pay any attention to his work. This seems to be a genuine concern for songwriter Sufjan Stevens. This Michigan born indie-rocker took the college music scene by storm with his 2005 release, Illinois. The album earned the Pantheon Award designed to recognize great albums that have sold less than 500,000 copies. He is heralded for his unique sound and his natural talent to pick up just about any instrument and make it sing. He is unabashedly Christian and his songs affirm the claim. 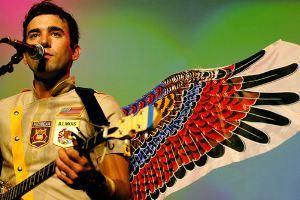 Sufjan has, however, avoided the Christian label. An interview with MTV implied that his songs transcend simple labels. Sufjan seems to be comfortable with the freedom this creates in his music as he writes about everything from zombies to God. This dynamism is as important for the listeners as it is for artists. As soon as something on a shelf is identified as Christian it has the potential to exclude some listeners. If something is Christian, people assume it is for Christians, and no artist with depth and breadth wants to go around 'preaching to the choir.' An artist should have the freedom to write about the full body of their experiences with the hope that anyone could relate. Even churches have to strike the balance between edifying their own congregants and making sure those outside the church get a chance to see how relevant the gospel is. This can be a hard line to walk. Still, how open is too open? Ben Harper often leaves me begging this question. His Afro-Folk-Pop songs demonstrate both his appreciation for and commitment to music. He has been widely accepted in the "Jam Band" scene. He, too, is openly Christian. He has written absolutely beautiful songs about the passion of the Christ and the power of the gospel. He even did an entire album with the highly anointed Blind Boys of Alabama. One of his songs titled "The Power of the Gospel" planted a tiny seed in my heart that helped me to receive the gospel message later in my journey. With that said, this planted seed has a lot more to do with God's grace than any clear presentation of the gospel on his part. 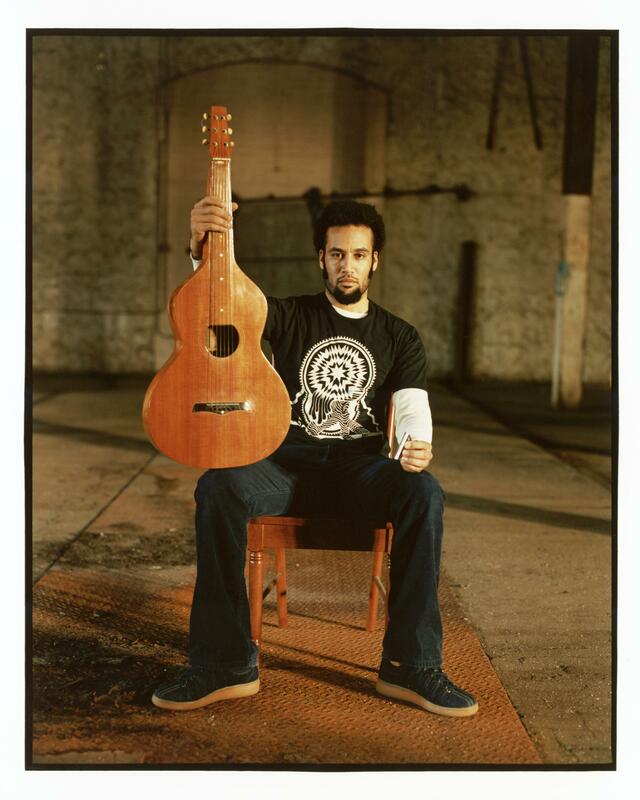 Ben Harper is better known for his lighter songs. "Burn One Down" proves to be one of his biggest crowd-pleasers. It's about his commitment to smoking weed regardless of people's sensibilities. 'If you don't like my fire, then don't come around. I'm gonna burn one down'. My concern with this is not that his habits don't line up with my personal convictions. The Bible doesn't say much about smoking weed… and it is legal in some countries. My concern is that the message is mixed in a way that might actually reinforce dangerous and immoral behavior in Christians and non-Christians alike. Immature Christians may hear this 'successful' Christian artist singing about smoking weed and think that one's relationship with God remains unaffected by habits and behavior. In other words, it may actually encourage Christians into practicing habits that might hurt their relationship with God. This was a huge concern for Apostle Paul when he addressed the community at Corinth (1 Cor. 8-10). Tersely, the impact that our art has on others should be more important than our expressive freedom. The fact that I have very different opinions of these Christian artists is an important thing to note. After all, not every Christian ministry represents the Christian faith in a truly healthy way. Example: Christian groups that picket the funerals of homosexuals. Maintaining a belief that a lifestyle is not what God intended for His creation should not translate into careless or hateful actions. It confuses the real driving force of the message - namely, love. I don't think this is necessarily a fair analogy to Ben Harper's music, but I think it points out that people's representations of their own relationship with Christ can be confusing when they are not thinking carefully about the dangers of sending mixed messages. But, you know what, there is no one-size-fits-all answer to this question. The truth is this is not any different than a Christian who has a job outside of the church that's not immediately related to the mission of the gospel. One has to decide whether God wants to use them in their current environment, or to save them from it. It is highly personal and often has to do with accurately discerning one's own strengths and weaknesses. A Christian stock broker may need to weigh out his intentions carefully. If he's in it for the interest of helping to reign in another's obsession with money and help it flow out into areas of America where it can make a difference, then I won't be responsible for urging him away from his task. If, however, the guy's there simply because he doesn't think private convictions bear weight on what is done in the workplace, I may look for an opportunity to broaden his scope. Perhaps the reason art and entertainment gets such a stigma is because of the spotlight. There may be a thousand mistakes in a soccer game, but the only one people remember is the final mistake that cost their team the game. It is not a more important mistake than all of the others, but it seems more immediately connected to the loss. The spotlight and the emotions seem to give it greater weight. It is easy for us to look at artists in the spotlight and suggest that they are the ones making the 'big' mistakes and blurring people's worldviews.But, what about all of our mistakes? All of the compromises we make in our everyday lives. The shows we watch, the purchases we make… all of these things dictate what kind of entertainment is made. When we see people in the spotlight in the broken world of media, we need to be careful not to forget that our mistakes have helped shape that world. Zac Levi, star of the TV series Chuck, seems to offer striking insight into the simplicity that can come from living out faith with trust in God's sovereignty and love. He described it clearly in an interview with Relevant Magazine. "If you're someone who puts their faith in Jesus, then trust Him in being led," Levi said. "To me, it's not rocket science. Go about your day putting your faith in God and standing on truth. It's pretty easy: are you a jerk or not? Are you doing things to benefit you, or others? Are you available to be part of the solution and not the problem? Walk in love and that opens some doors of dialogue. How about just starting to talk and see where it goes? I don't think there's any clock on it-your life is God's, so let Him do as He wills with it." We are all witnesses trying to strike the balance between living in the world while not being of it. We are all accountable, and we all fall short. Whether we make music, paint, or help people invest money, we are called to witness and to obey God and His word. There are no easy answers to questions like this. We all have to think carefully about what our intentions are as we move forward with our lives. Keep watching the fruit-our own first. This will tell us if our tree is planted in the right garden. K. Swann is a singer-songwriter in New York City with cutting edge thoughts on life, art and spirituality. He is currently studying Biblical Studies and Theology at Nyack College.